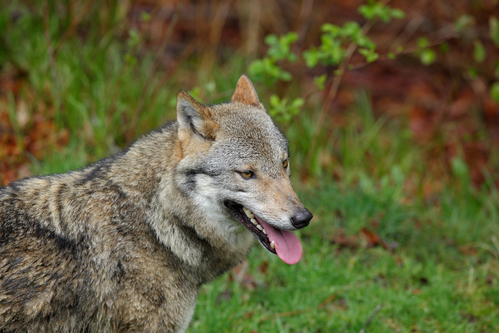 A female wolf which has been roaming the northern part of the Veluwe national park in Gelderland can now be considered to be the first wolf to be officially settled there and off-spring may be on the way, wolf monitoring organisation Wolven in Nederland claims. A wolf is considered settled when it stays in a certain area for longer than six months. DNA in the wolf droppings, show that this is the case for Veluwe wolf GW998F, the organisation said, while droppings from a male wolf and tracks in the snow from both animals suggest that the female has found a mate. ‘It is the start of the breeding season and if young wolves are born in May this could be the start of a pack,’ a Wolven in Nederland spokesperson told NOS. The return of the wolf, which became extinct in the Netherlands some 150 years ago, means a plan agreed on by a number of provinces that have been visited by wolves will be put into action. Under the scheme farmers who lose livestock to wolves will be automatically compensated for the next three years. The animals are protected and can only be shot under very exceptional circumstances. Wolven in Nederland said the fact that the wolves settle means they will be less dangerous to livestock. ‘A roaming wolf will pick off a sheep for a quick snack but a settled wolf stays out of sight. It will go for boar and deer and won’t show himself near houses. It is very unlikely to cross paths with humans,’ spokesman Maurice Lahaye told the broadcaster. The settled wolf comes from a pack in Germany where wolves have been proliferating in recent years. In Schleswig- Holstein the authorities recently allowed a ‘problem wolf’ which had been killing sheep to be shot.